This one is still open during the summer months! 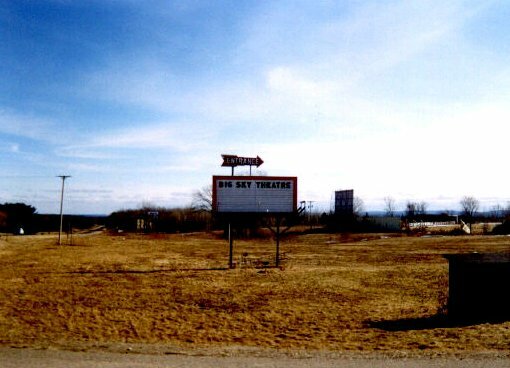 The Big Sky Drive-in theater was once known as the Winnebago Drive-in. The theater has two screens. The theater originally operated with only one screen, but in recent years, a second screen was added. 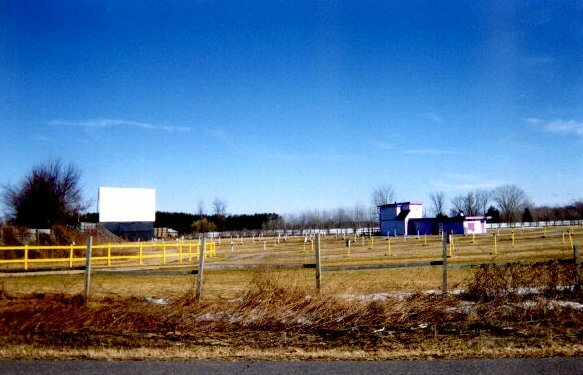 The theater is located east of Wisconsin Dells at the intersection of Highway 16 and 127. The last two movies that I saw at this theater were "The Last Action Hero" and "In The Line Of Fire". The front row of the theater still has car speakers. 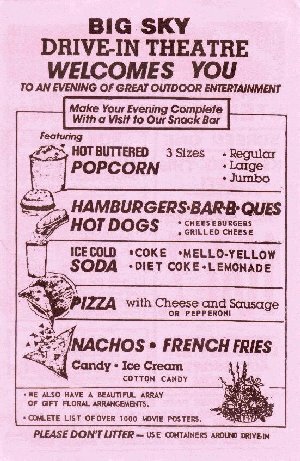 They have a nice concession stand and sell T-shirts. They even have an original Space Invaders machine in the concession stand! 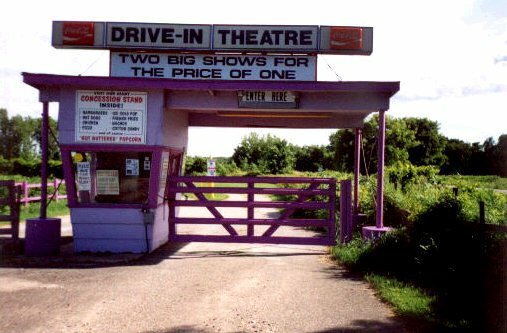 The Big Sky drive-in has first-run movies. On May 19th, 1999 at 1:00 am, I got to see Star Wars: The Phantom Menace here! Yes! Star Wars at an outdoor! There were quite a few cars there that night. It sounded like a car stereo contest until the movie started. 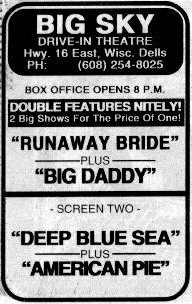 July 30, 1999: Made it to the Big Sky for "Deep Blue Sea" and "American Pie". The night started out nice but a rather nasty thunderstorm arrived to provide a light show. The rain held off until the credits of the second movie. They ran Woody Woodpecker cartoons during intermission! 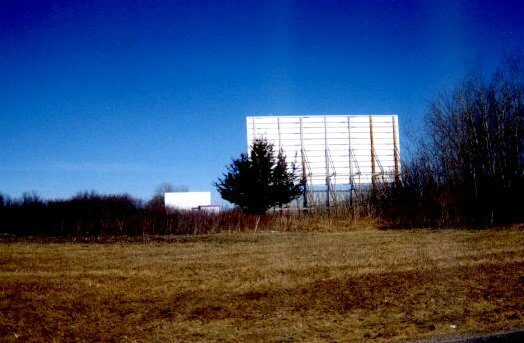 June 3rd, 2000: Went to the Big Sky for "Mission Impossible 2" and "Big Mamma's House". There was a good crowd even though the weather was bad. It sprinkled for most of the night. 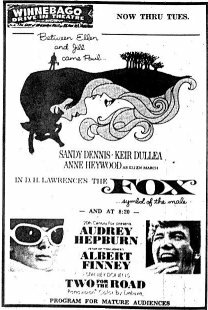 June 22, 2001: Another fine night for movie watching. Features were "Atlantis" and "Tomb Raider". Quite a few patrons for the night. 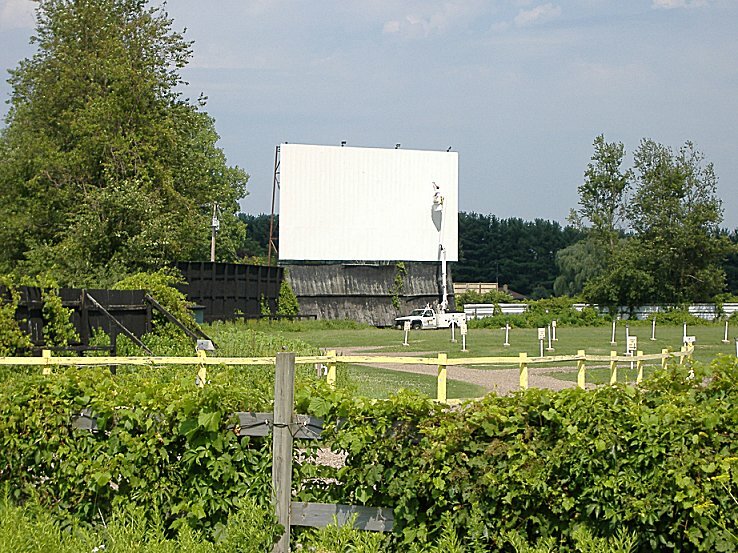 June 7, 2002: First stop for the 2002 drive-in season! Great weather and two good movies: "The Sum Of All Fears" and "Changing Lanes". When you go, make sure you get the Mama Burger! May 9th, 2003: Cool but nice night for "X-Men 2" and "Daredevil". Got to love the food here. 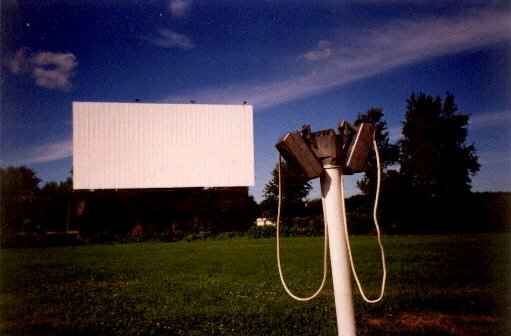 Probably my earliest trip to a drive-in during any given season. July 30, 2004: Nice weather and two awesome movies! The evenings features were “Bourne Supremacy” and “I, Robot”. I actually saw someone pull in with a lawnmower on a trailer in tow behind their vehicle. July 14, 2005: Great night and a good sized crowd. Two shows for the night were “Charlie and the Chocolate Factory” and “Bewitched”. July 26, 2006: Busy night on both screens. Pulled into screen one where the features were “Monster House” and “Click”. On the previous day, spotted someone painting screen one. See picture below. 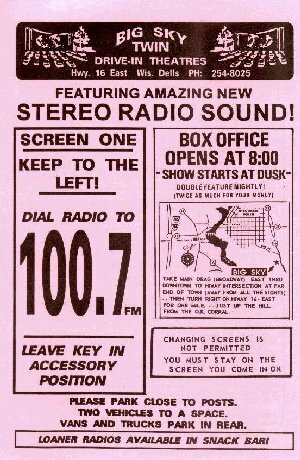 Screen 1 and the car speakers which are available in the first row. 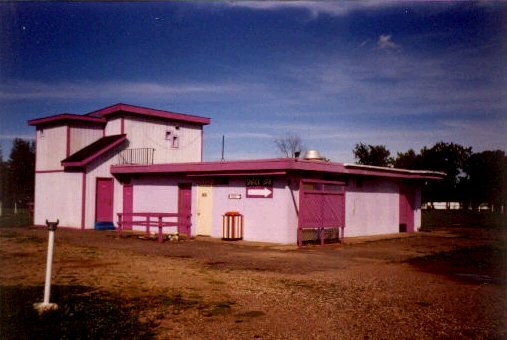 Concession building and projection booths. The second story houses the projection equipment for screen 2. 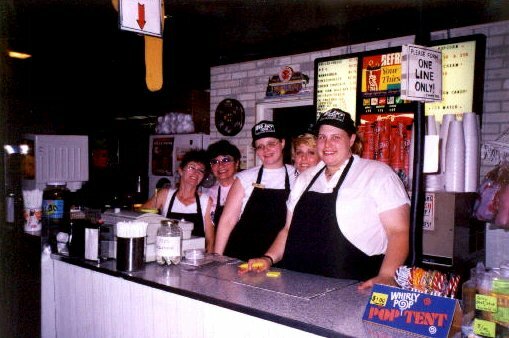 The staff at the concession stand is ready to serve you!